Scandic Ambassadeur Drammen is a lovely hotel centrally located in Drammen, within walking distance of the train station and the airport express train. Our hotel is located by the water, a short distance from the beach. Our hotel has flexible meeting facilities, including a large conference hall with a capacity for 400 people. There are several beautiful park areas close by. In our hotel restaurant you’ll enjoy our delicious breakfast, and here you’ll also find a library and an open fireplace. In our combined restaurant and bar you can enjoy lunch and dinner. Our menu consists of modern, international dishes. 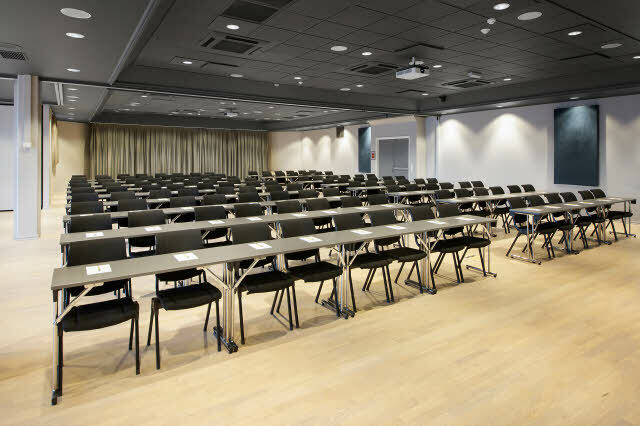 Hotel Scandic Ambassadeur has a conference capacity for up to 400 people. Our hotel offers free WiFi in all hotel rooms and has a large and modern bar. Our rooms are individually and brightly decorated, and they all have quality beds and flat screen TV’s. Due to current renovation ask the front office staff for nearby training facilities. You’ll find our restaurant and bar on the main floor, by the reception area. Contact our reception for table reservations.